David was an impressive young pianist, who went on to become a pilot, but died tragically in December 2017 when his plane crashed in Papua New Guinea (PNG). After moving to Australia from Macao with his family at the age of six, David began learning piano. By just nine he was performing with the Melbourne Symphony Orchestra, and at 12 years of age he won the keyboard section of the Symphony Australia Young Performers Awards. David studied piano with Australian concert pianist Stephen McIntyre at Melbourne University, went on to study at The Julliard School of Music in New York where he was awarded the Vladimir Horowitz Scholarship. His friends remember “an incredible pianist with a breathtaking technique.” David travelled the world, performing with major orchestras and in concert halls including New York’s Carnegie Hall and the Sydney Opera House. David decided to make a career change and pursue his other passion - aviation. 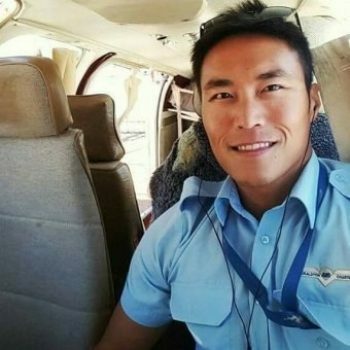 As a pilot, he flew for a skydiving company at Uluru, Geraldton Air Charter in Western Australia, and then later for North Coast Aviation as a pilot for the remote communities in PNG. With its rough terrain and lack of internal connecting roads, air travel provides crucial transport for around 6 million PNG citizens, especially to receive the medicines, goods and food they need. Stephen McIntyre organised a group of friends to donate toward a seat dedication in David’s memory. It is a heart-warming gift for David’s mum Jacky, and a way of honouring David’s memory and legacy. Below are the generous musicians and music-lovers who came together to remember their friend, create this special gift for David’s family, and simultaneously support the Centre’s programming in a unique way. Naming a seat in Elisabeth Murdoch Hall at Melbourne Recital Centre is a unique way to honour a special person, commemorate a significant event, or simply celebrate a love of music.